Divorce is never fun, but it can be somewhat easier if you know what is required in the courts in your county. If you live in Dallas County, Texas, you begin the process of ending your marriage with a petition for divorce and a citation that advises your spouse of the court case and orders him to appear. Although you save on attorney fees if you represent yourself in a Dallas County divorce, it may not be the right thing to do if you and your spouse have accumulated real property or significant personal assets. Consider retaining an attorney unless you have no children, little property, and are in agreement with your spouse about getting a divorce. Begin a divorce case in Dallas County, Texas, by filling out a petition for divorce and filing it with the court, along with a citation and court fees. No need to rush to Dallas County, Texas, to file a petition for divorce unless you or your spouse lives there. You can only file for divorce in a Dallas County court if one party to the divorce case has resided in Texas for at least six months and in Dallas County for at least 90 days. You'll need to prepare two legal documents to initiate a Dallas County divorce. 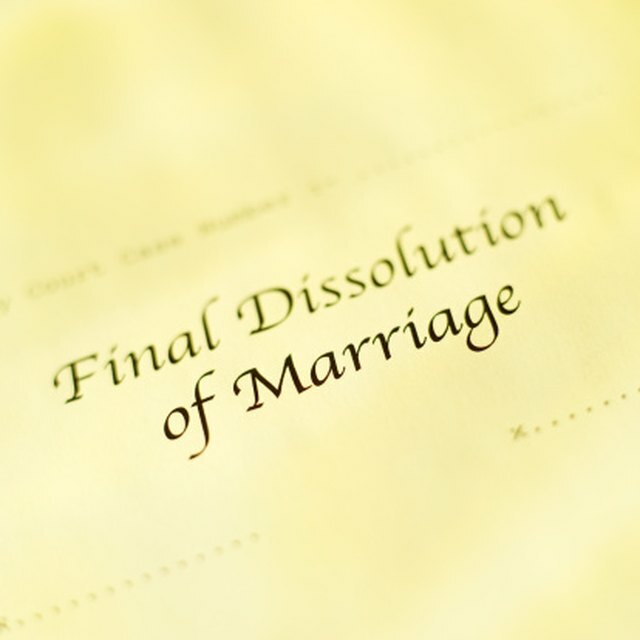 These are a petition for divorce, a citation and a divorce decree. The paper asking for a divorce is termed a "petition for divorce." You can obtain a form for this purpose from the court. The purpose of a divorce petition is to introduce yourself and your spouse to the court and set out your demand for a legal termination of your marriage. You must include your name and address, that of your spouse, and the date of your marriage. Sign the final page of the petition and provide contact information. 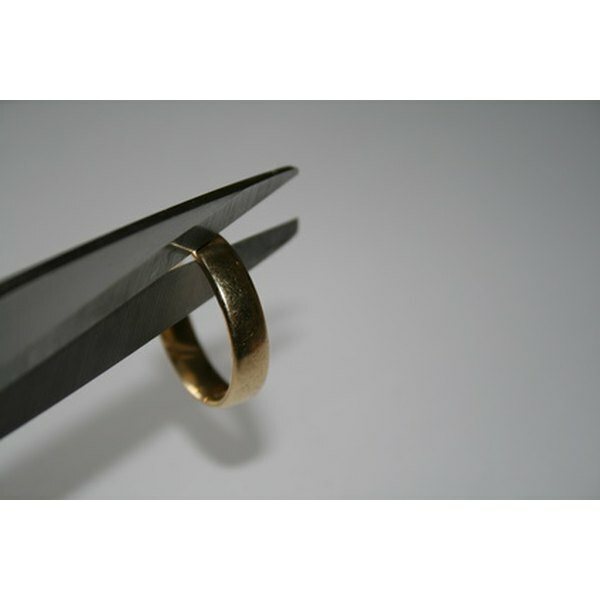 In Texas, couples seeking a no-fault divorce must claim insupportability. This means the marriage cannot continue because of differences the spouses cannot resolve. Do not attempt to represent yourself in a divorce on any other grounds, as you will need to plead and prove that your spouse deserves the blame for the end of the marriage. The citation form provides formal and official notice to your spouse. Your spouse can waive the citation requirements if he agrees to the divorce. Otherwise, you must arrange to have the citation and petition served on him by a Dallas County constable or a process server. File your petition for divorce by visiting the clerk of the Dallas County District Court on the 1st floor of the George L. Allen, Sr. Courts Building, 600 Commerce St., Dallas, Texas. Give the clerk the original copy of the signed petition plus three photocopies. The clerk will stamp a case number on the petition copies and write the court number on a copy that is returned to you. You will need to include this case number and the court number in every case document. There is a fee for filing the petition and a fee if you choose to get the petition and citation served on your spouse. You must officially notify your spouse that you have filed for divorce. This is called "service." If your spouse is in agreement with you about the divorce, he can waive citation service by signing a “waiver of citation” document after you give him a copy of the petition. He must sign before a notary public. If you file this with the clerk of the court, you do not need to do any additional service. If your spouse doesn't sign a waiver of citation, you can arrange for the Dallas Country constable or a private process server to serve the petition and citation. The constable or process server who hands these papers to your spouse will file an affidavit with the clerk describing that service and when and where it occurred. With a Master's in English, a Master of Fine Arts in Creative Writing, and J.D. from U.C. Berkeley's law school, Teo Spengler is up on education. She splits her home time between San Francisco and France. A perpetual student and frequent teacher, she is also a writer and world traveler. Her work has appeared in numerous online publications including USA Today, Legal Zoom, eHow Business, Livestrong, SF Gate, Arizona Central, Fairmont Houston Chronicle, Navy Federal Credit Union, Pearson, Quicken.com, TurboTax.com, and numerous attorney websites.